We raise money to help the school deliver major improvement projects that can’t be funded from the school’s state budget, seeking financial donations from parents and local community members, developing partnerships with businesses, and applying for grant funding where available. 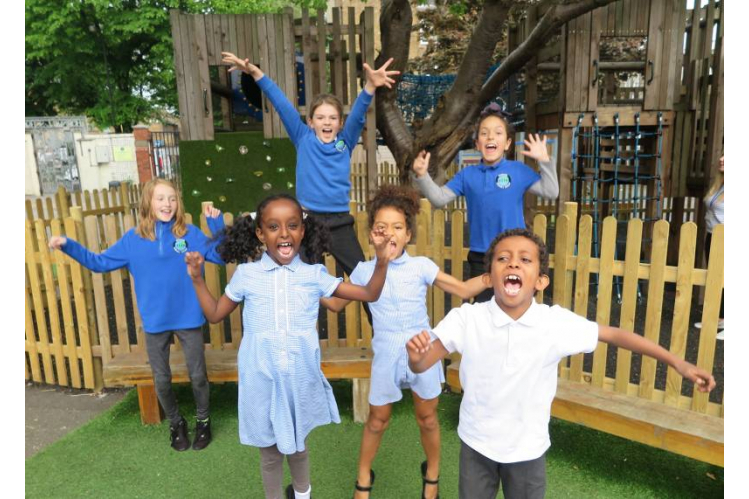 Thornhill Primary School is a community school with 450 children in Islington. Situated in a very diverse area, Thornhill is amongst 20% of the most deprived schools nationally with 57% of pupils eligible for free school meals in comparison to just 25% across all other state schools nationally. We want to build a library in a disused space, under arches adjacent to the school playground to put literacy and storytelling at the heart of the school. The library plans create a light filled space which will be used every day by the children and be open around school hours. The design was developed hand in hand with the children taking ideas from mini libraries they created from cardboard boxes. The library will also become a hub for book readings, poetry recitals and events for the local community in Barnsbury.